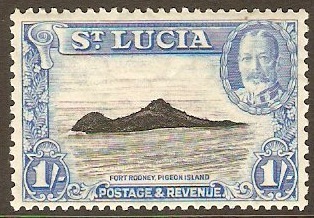 St Lucia 1930 1d Black on blue - Postage Due. SGD1. Mounted mint 1930 1d Black on blue - Postage Due. SGD1. 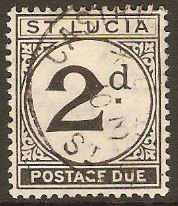 St Lucia 1930 2d Black on yellow - Postage Due. SGD2. 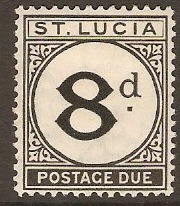 Mounted mint 1930 2d Black on yellow - Postage Due. SGD2. 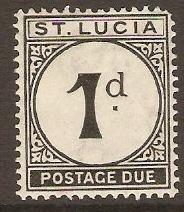 St Lucia 1933 1d Black - Postage Due. SGD3. Mounted mint 1933 1d Black - Postage Due. SGD3. 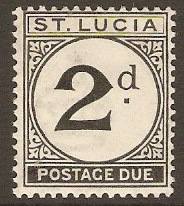 St Lucia 1933 2d Black - Postage Due. SGD4. Lightly mounted mint 1933 2d Black - Postage Due. SGD4. 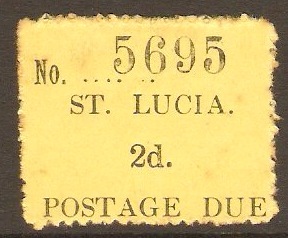 Fine used 1933 2d Black - Postage Due. SGD4. 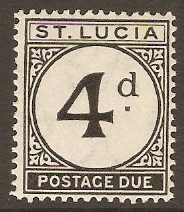 St Lucia 1933 4d Black - Postage Due. SGD5. Unmounted mint 1933 4d Black - Postage Due. SGD5. Unmounted mint 1933 4d Black - Postage Due. SGD5. Horizontal pair. 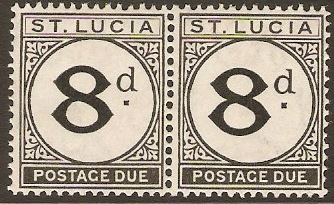 St Lucia 1933 8d Black - Postage Due. SGD6. 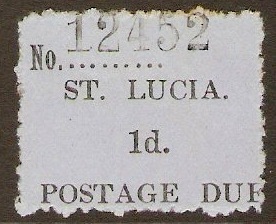 Mounted mint 1933 8d Black - Postage Due. SGD6. Unmounted mint 1933 8d Black - Postage Due. SGD6. Horizontal pair. 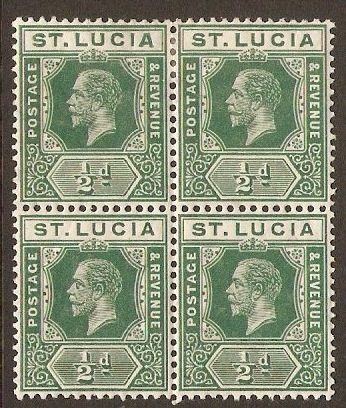 St Lucia 1912 ½d Deep green. SG78. Mounted mint 1912 ½d Deep green. SG78. King George V definitive stamp. 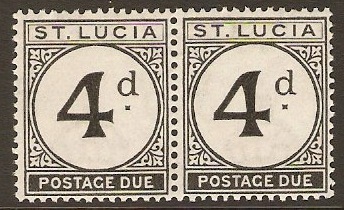 Block of 4 stamps. NOTE: Bottom 2 stamps unmounted mint.